"The Lost Bible" provides a fascinating introduction to sacred writings of great profundity and aesthetic merit that did not become part of the canon of the Old and New Testaments. In the centuries around the beginning of the Common Era, the Jewish people drew faith and inspiration from hundreds of sacred writings, not just those that make up the Hebrew Bible we know today. Early Christianity itself produced a wealth of sacred writings, which, though they did not become part of the New Testament, were popular among believers and important in spreading the faith. After the canons of the Jewish and Christian Bibles were established, many of these works disappeared into obscurity. Some were lost entirely; others survived in translations. 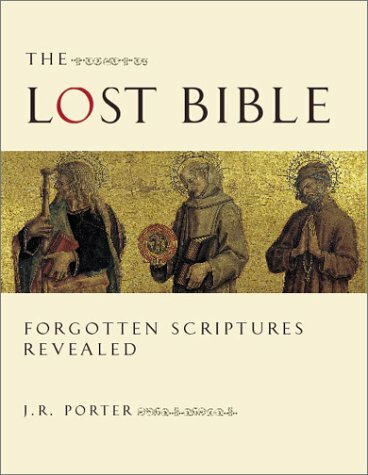 J. R. Porter introduces the reader to a wide selection of these extraordinary and beautiful "lost" works-from words considered to be those of prophets, kings, and patriarchs (even Adam himself) to legends and stories that supply "missing" parts of the Gospels. For each work, commentary is followed by a translated extract in clear and up-to-date language. The commentary places writings in their religious, social, and political context; explains the crucial importance of these works to the development of Jewish and Christian thought; and highlights the many legends and artistic traditions that sprang from them. It also examines the reasons-both religious and political-why these writings did not become part of the Jewish and Christian Bibles. Lavishly illustrated with beautiful artwork, and amplified by maps, timelines, and data boxes, this text is a rich resource for anyone interested in exploring the origins of Judaism and Christianity.